the top already formed and partially sealed. according to the features pre-selected by menu. control are apart from the carousel. bag to make it as compact as possible. and conveyed to an outer container. motor and short stroke pneumatic cylinders. onto the bag in the 11th station. bag top (label applicator excluded). defective bags to be rejected. where the open bags are rejected. connection paddles to convey the bags. recalled automatically at any changeover. N.1 set of sized parts for a bag size. 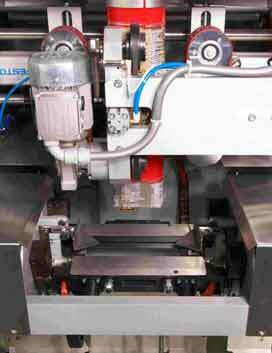 A PLC controls the carousel. Squared top bag sizes recalled by program. Self-diagnostic program with help on line. Memorization of up to 50 working profiles. 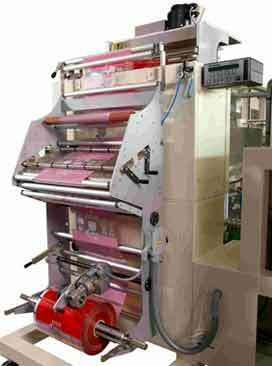 starting from reels of flexible film. 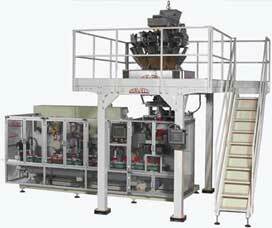 SVMC-1/SDFQ Stiavelli Carousel for Brick Bags Integrated With High Speed VFFS Vertical Form Fill Seal Machine. 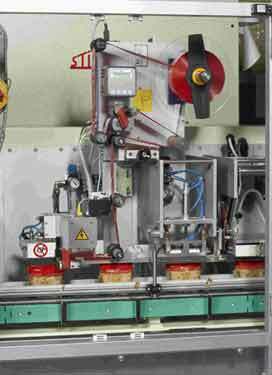 SVMC-1/SDFQ Stiavelli Carousel for Brick Bags Integrated With VFFS and Multihead Combination Weighers. 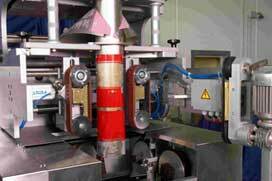 1/SDFQ Stiavelli Carousel for Brick Bags. 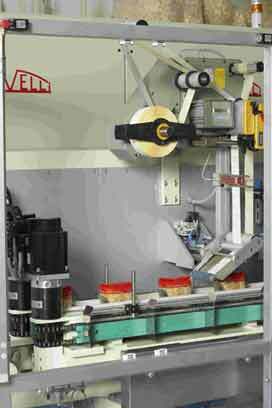 SVMC-1/SDFQ Stiavelli Carousel for Brick Bags tape sealing station. 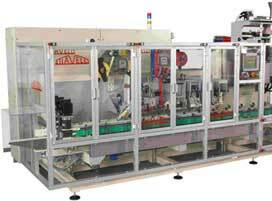 SVMC-1/SDFQ Stiavelli Carousel for Brick Bags labelling unit. 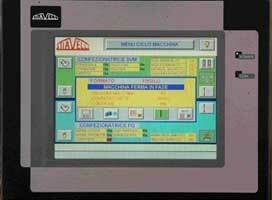 SVMC-1/SDFQ Stiavelli Carousel for Brick Bags touch screen control panel.